The government wants to know if landholders are just sitting on unused property until the value goes up. TAXES COULD BE levied on vacant properties as part of a “carrot and stick” approach to free up more development land for squeezed housing markets like in Dublin. 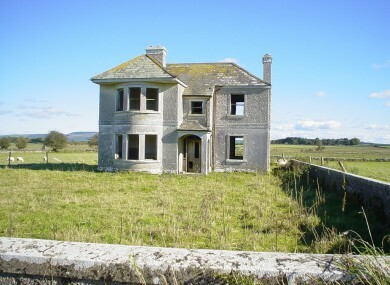 The Finance Department will also look at whether landowners had been sitting on vacant properties in the hope prices would keep going up as part of its call for comments on the plan. It will also investigate how taxes can be used to drive construction through “corrective” measures – as opposed to tax breaks for developers. Last year a government taskforce said there was enough land for 45,000 extra homes to be built across Dublin’s four local council areas through either existing planning permissions or property already zoned for residential use. Across the country, the government estimates there is enough vacant, residential-zoned land to build 400,000 new homes – enough to meet the country’s needs for the next decade. Meanwhile, the housing shortage in Dublin has pushed rents up to near-boom levels, while sale prices have risen faster than anywhere in the EU. Dublin City Council has previously called on the government to give it the power to tax vacant land after pointing out there was no disincentive for landowners to sit on vacant properties for years. It said the move, which it wanted brought in for all development-zoned land, would prevent dereliction, encourage economic development and job creation, and encourage more inner-city housing. The Commission on Taxation, set up by the Cowen government before the financial crisis, recommended that ongoing taxes be levied on zoned land which was not being developed. This will be a useful policy tool to address the hoarding of land-banks and help to ensure that land is utilised in accordance with its planning categorisation,” it said. The council charges 50% rates on vacant commercial property, while a 3% levy is charged on the market value of derelict sites, but there is no fee for sitting on vacant development space. Both Dublin City Council and the government are also significant landholders in the city. Property Industry Ireland director Peter Stafford told TheJournal.ie the government should be looking at a “carrot and stick approach” to getting houses built on vacant land by addressing planning, construction and funding problems. I do think we need to get sites moving and I do think we need to stop land-hoarding for the sake of it,” he said. The Environment Department is already looking at separate rules for a 3% annual levy on the market value of undeveloped lands in “priority development areas”. Society of Chartered Surveyors Ireland policy and communications director Conor O’Donovan said a levy on unused land was a good idea – as long as it didn’t encourage “building for the sake of building”. Email “Land barons could be taxed for vacant property to ease the housing squeeze”. Feedback on “Land barons could be taxed for vacant property to ease the housing squeeze”.